The Graco Fast Action Snug Ride Click Connect 35 Elite Travel is a jogger with matching click connect 35 elite car seat that can be connected rear facing if you want your kid on the car seat instead of the stroller. Because of this, you can also very easily transport your kid without necessarily taking him out of the car seat as the seat easily detaches from the stroller with the push of a button and you can transfer baby on the car seat in an instant. 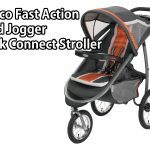 The Graco Fast Action Snug Ride Click Connect 35 Elite is a complete travel buddy for those parents who are serious about having daily jogs with their children. For those with newborns though, the snug ride could prove to be challenging owing to the weight so prospective buyer is advised to check first whether or not the jogger is really for them. 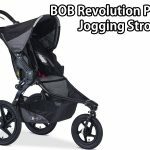 This stroller/jogger would do well for parents who enjoy jogging with their kids on a regular basis: otherwise, parents are advised to get the simpler style strollers which are easier to handle. Noe that the car seat is an optional attachment: thus if there will be not much need to travel using the car and more importantly if weight is a consideration, a stroller is recommended because of its light weight. If there is the possibility of using a car seat in the future, then a jogger may be bought as there are a number od f car seats that can be bought separately that may be compatible with your jogger. Same goes through for a stroller: car seats which are compatible with your stroller are also available and can be attached easily with the click connect technology to ensure baby safety.